County resident. 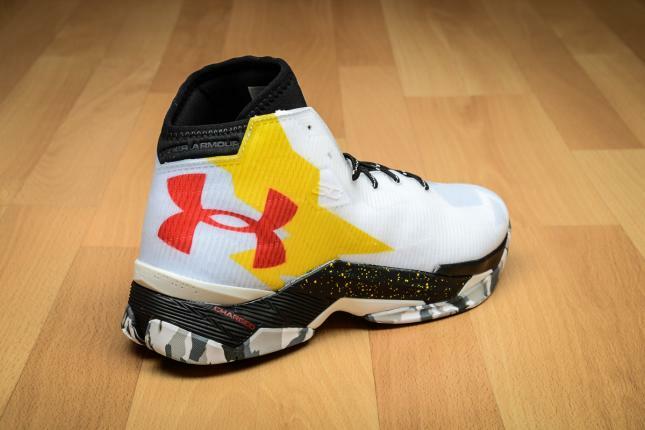 UA does not just represent Maryland with this shoe but puts a strong emphasis on performance as well. 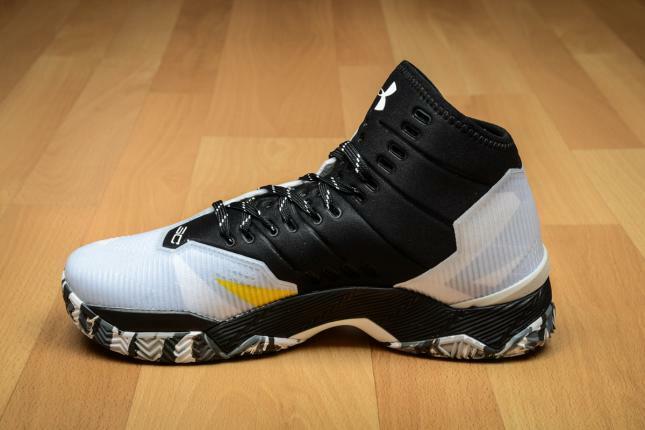 The Curry 2.5 sports a synthetic upper that wraps closely around the foot for a lightweight and precise fit. It also has an external shell that provides durable support and structure; UA furthermore equipped these shoes with an external shank and a heel counter to eliminate sliding and provide locked in stability. The anti -friction cloth reduces heat to provide more energy and the keep the feet cooler. 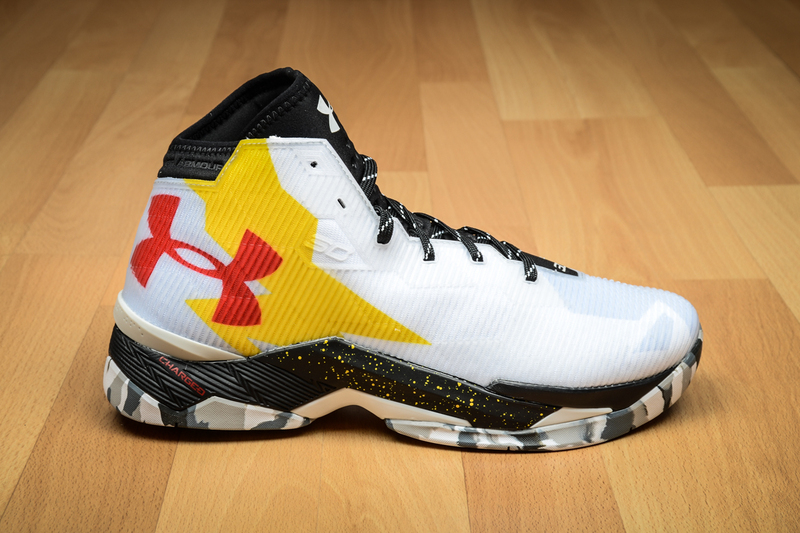 UA full length cushioning midsole absorbs impact and converts it into a responsive burst and enhance speed. The Multi-directional Organic Herringbone outsole offers maximum floor control and grip.